The proud of Kuldiga is the fascinating Waterfall Rumba – the widest waterfall in Europe (249m). The highest waterfall in Latvia on the River Alek upīte (4,5 m) is also situated here. 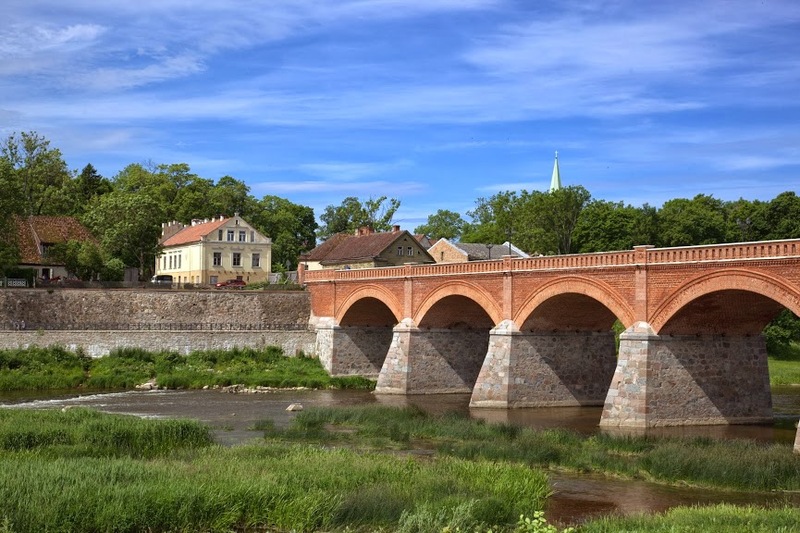 One of the widest brick bridges in Europe has always attracted the visitors of Kuldiga. It was built in 1874 over the River Venta. For every visitor it is interesting to see the old town that is rich in traditions of history and culture. The historical centre of Kuldiga is an architecture monument with original buildings, narrow streets and tiled roofs. The tourist abode “Ventas Rumba” is located on the right bank of the Venta River just opposite to the falls, on romantic artificial Martins Island, which took its shape thanks to a channel dug as long ago as in the times of Duke Jekabs. You will live between the two main tourism objects of Kuldiga – the broadest in Europe falls (249 m) known as Rumba, and one of the longest in Europe brick bridge built in 1874.